Just like my traditionally stamped cards, when I create a digital design with MDS, I CAN NOT STOP MYSELF from adding multiple layers of card stock! And If I decide I don’t need a layer, I add a border! My colours here are Old Olive and Riding Hood Red with a hint of Champagne Glimmer Paper. 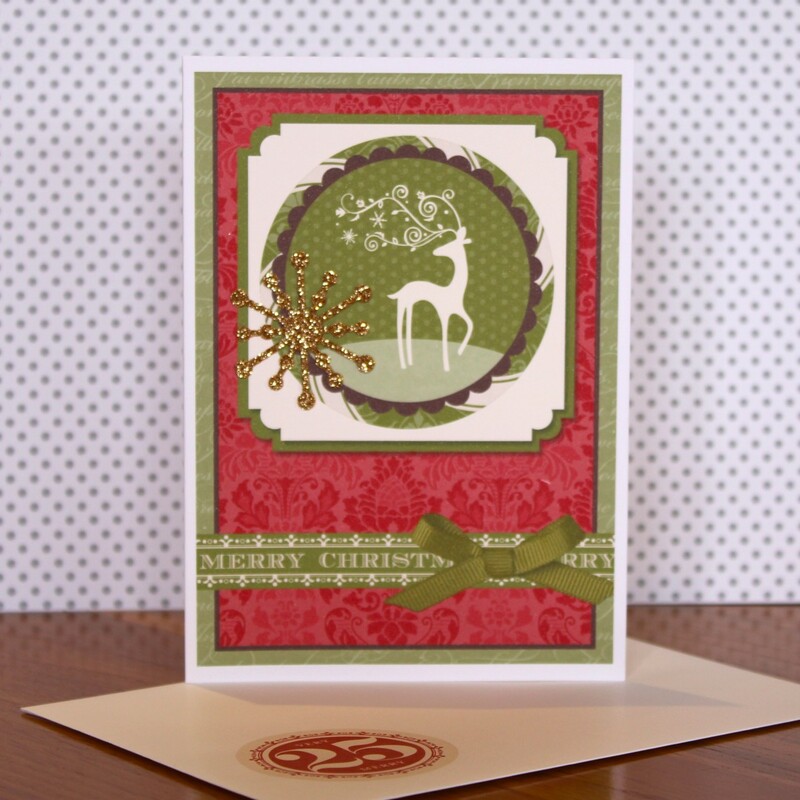 Love this Christmas colour combo! Aren’t digital bows great? perfect every time!